Arm yourself with Bobbi Brown’s Beauty Emergency Kit; a first aid set of everything you need to go from frazzled to fierce. The carefully curated set comprises some of the brand’s award-winners and best-sellers conveniently encased in a zip-top vanity pouch that you can bring with you anywhere. An award-winning cream colour that adds a beautiful, healthy glow to your makeup. The best-selling, two-in-one product delivers creamy colour that can be dabbed and blended onto apples of the cheeks, or blotted onto lips for a soft, stained effect. Creating a complementary makeup look, it imparts a 'just-pinched' flush onto cheeks and a beautiful hint of colour onto lips. Wear alone or with lip liners and lip glosses. If your skin is prone to dryness, ensure to moisturise before application. Housed in a mirrored compact for on-the-go touch-ups. 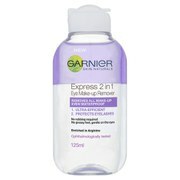 An ultra-gentle but effective formula that is able to remove all traces of makeup, including the most long-wearing and waterproof types. Boasting a dual-phase formula, the solution should be shaken well before use. Simply apply to a cotton pad and sweep comfortably over the visage. 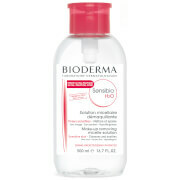 The Instant Long-Wear Makeup Remover promptly eliminates all traces of makeup to leave skin clear and refreshed. 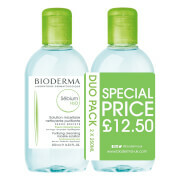 An oil-free hydrating primer that moisturises, softens and cushions skin. The best-selling formula effortlessly smoothes over the visage, absorbing quickly without leaving behind an unwanted, greasy feel. Enriched with Shea Butter and Vitamins B, C and E, the rich face base envelops the visage in a veil of nourishing moisture, whilst a blend of Grapefruit and Geranium fragrances impart an uplifting scent. Leaves skin visibly smooth and healthy; the perfect canvas for a flawless makeup application. A rich treatment that visibly rejuvenates for a well-rested and lifted appearance. One of Bobbi Brown's best-selling products, the age-defying formula delivers a host of peptides, plant oils and humectants to combat the look of fine lines, puffiness and dark circles. The exclusive Extra Repair Complex combines Clary Sage Ferment and Argireline®, which work in synergy to target signs of skin ageing on two levels – by supporting skin’s natural collagen production and by boosting the natural protective lipid barrier. As a result, skin feels hydrated, plumper and revitalised, with a firmer, more even tone and visibly reduced symptoms of fatigue and ageing. Suitable for all skin types. Dermatologist and ophthalmologist tested. Safe for contact lens wearers. A creamy kohl-black mascara that lengthens, thickens and fans out the lashes for a dramatic effect; a perfect complement to an intense smokey eye. Buildable and long-lasting, the non-flaking, non-clumping formula glides on to lashes, offering great coverage with the minimum of effort. An award-winning eyeshadow in a stick that offers up to 8 hours of wear and glides over eye lids in a single stroke without tugging or pulling. Perfect to define, shade and highlight, the creamy, waterproof consistency blends easily without flaking, creasing or fading.